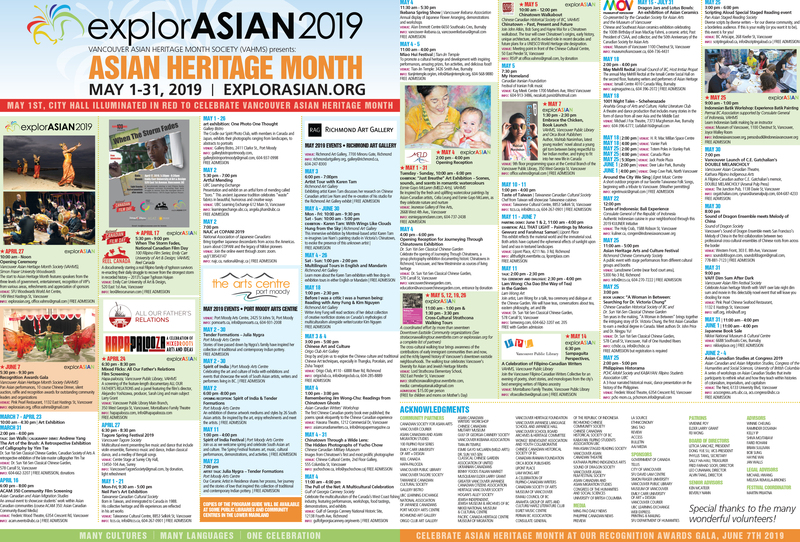 Vancouver Asian Heritage Month Society (VAHMS) has a Board of Directors and staff with a passion for bringing together the Asian Canadian community and others, to share in unique intercultural events through explorASIAN during the month of May, and throughout the year. Leticia Sanchez holds a Masters in Education from Anahuac University in Mexico, and is a certified Overseas Teacher of English from Cambridge University via the British Council, Leticia is known as a proactive supporter of education and arts. She taught 1st to 9th-grade students and coordinated the Language Department at Instituto CENCA in Mexico City for over twenty years. She acted as a Treasurer at MEX-TESOL Chapter-Toluca for five consecutive years and has lead and trained teachers and staff since 1996. In her more than ten years tenure as the Head of Cultural Experience at the Dr. Sun Yat-Sen Classical Chinese Garden, Leticia improved the quality and productivity of the Retail Department, founded the Art Committee, produced and executed art exhibitions, organized artists’ residencies, talks and book launches, and improved the overall Visitors’ Cultural Experience when she led the Museum’s operations and facility conservation programs. Her personal strong interest in fine arts has led her to organize many successful national and international exhibitions and to support emerging artists by providing them with opportunities and spaces to show their artworks. Leticia has been a freelance curator since 2012. Her community projects “Embracing Multicultural Languages” in 2015, “Following the Silk Routes and Beyond in Vancouver” from 2016 to 2018 both prepared for ExplorAsian, were displayed at the Chinese Cultural Centre, and Immigrant Services Society of BC. In 2016, she acted as an advisor for the Irving K. Barber Learning Centre Exhibits & Programming Advisory Committee at UBC. 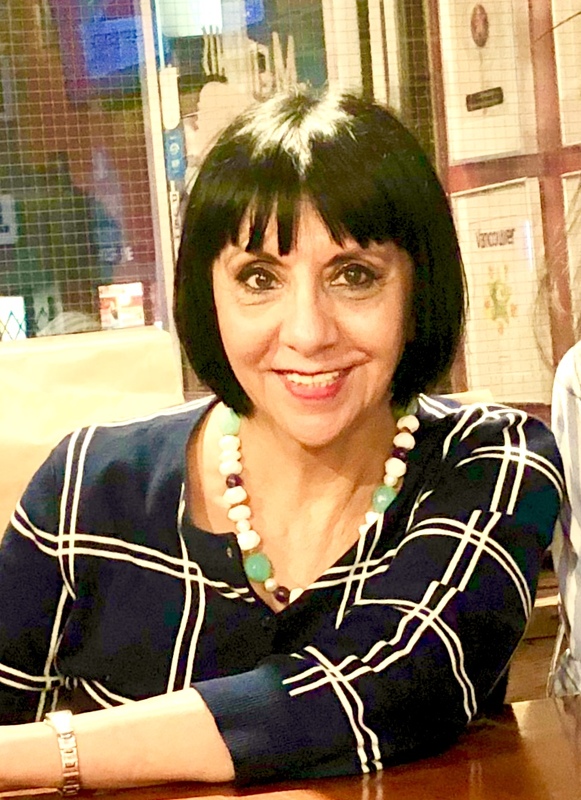 Leticia has been part of the Vancouver Asian Heritage Month Society board of Directors since 2015 and is now the 2019 President of the Board. Dong Yue Su is an art educator at the Vancouver Art Gallery. He also works independently with various art institutions in the Lower Mainland to give art tours to the local Chinese speaking public audience. He was born in Canton China and worked as a newspaper journalist in Mainland China before he immigrated to Canada in 2004. He has a BA and two MAs at the University of Toronto in studio art and art history related programs. As a Vancouver culture lover, he is interested to help bridging the art community with the public, inviting the Chinese speaking new comers over and facilitating the access to the local culture. 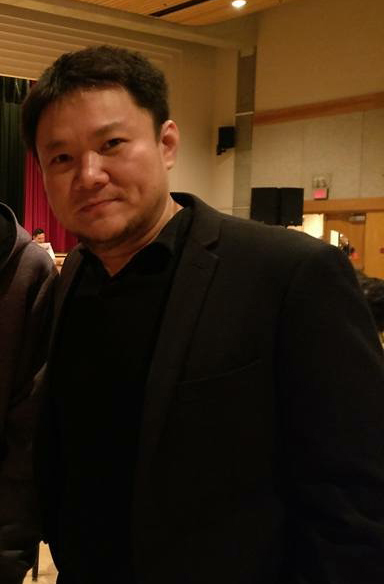 He has published articles in art journalism and art criticism, in both Chinese and English, and he is also an active YouTuber to promote Vancouver culture. Leo Cunanan, Jr. was born in the Philippines and moved to Canada with his family when he was nine years old. His early interest was in music and at 21 he joined a band as a drummer and was touring with different bands, recording music professionally for a number of years. He is a member of SOCAN (Society of Composers, Authors and Music Publishers of Canada). In the late nineties, he joined a family-owned publication, Dahong Pilipino as a graphic artist and advertising associate. He soon became its president and publisher. It is the first and only Filipino business and community directory in BC that has published continuously for the last 24 years. This year, Dahong Pilipino participated in the Asian Heritage Month by sponsoring the Filipino Movie Nights with VAHMS, Tulayan and Anybody Can Act Group. Leo developed a strong interest in fine arts when he met Sym Mendoza, a famous artist in the Philippines who immigrated to Vancouver and became his mentor. He has been an artist for 17 years now and is an active member of the Federation of Canadian Artists. Leo has won several awards in the Federation of Canadian Artists’ exhibits and continues to paint in his free time. He is also the president of Dimasalang III Group of Artists, mostly Filipino-Canadians that aims to raise awareness of contemporary arts and culture, develop artistic talents and encourage a positive impact in the community. They have held several successful group exhibits, which helped expose their works in many community events including the celebration of Asian Heritage Month (Generation One – explorASIAN) in 2011 and 2012, Philippine Festivals and private functions. Leo is very active in the Filipino community. Sally Ha-Hau is a designated Chartered Professional Accountant. She gained her experience in public practice at Deloitte, where she was responsible for leading teams in the preparation and execution of financial audit and review engagements of publicly listed, privately owned and NPOs. From a young age, Sally developed a love and appreciation for the arts. She has previously been involved in musical productions as lead pianist, accompanist, sound technician and set builder and was formerly a Projects Assistant at the Performing Arts Lodges, a social housing and theatre complex which provides performing artists and those with disabilities a space and community where they can stay creative, assisting with the administration of in-house programs. Sally holds a Bachelor of Commerce (Honours) from the University of British Columbia. Ken McAteer, B.Comm. M.Ed. is a former secondary school principal who has been active as a volunteer in various capacities. Community Awards: United Way Van Dusen Award for Outstanding Community Service and the AMSSA Riasat Ali Khan Award for Lifetime Dedication to the Promotion of Cultural Diversity. 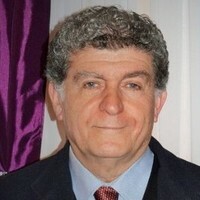 He is a Past President of the BC Principals and Vice Principals Association, Past Member Board of Directors of the Laurier Institution and Past Chair of the Advisory Council for the Provincial Ministry of Multiculturalism and Immigration. Scouts Canada Service: Past Commissioner BC and Yukon, Past Commissioner Pacific Coast Council and Past Member Board of Governors. For several years Ken assisted the Ismaili scholarship program by adjudicating submissions for the Youth Leadership Awards. Ken is a Senior Advisor of VAHMS and believes in the need to stress identity for individuals, integration into the Canadian community, the hybridity of heritages and empathy for others in Canadian society. Beverly Nann, MSW, is a recipient of the Order of BC in recognition of a commitment of over 30 years to providing leadership in pioneering the development of organisations, programs and services in the multicultural and immigrant service sector including the Laurier Institution and the Vancouver and Burnaby School District Multicultural Home-School Liaison Workers. She has served on many national, provincial and local multicultural advisory bodies including the Immigration and Refugee Advisory Panel, the Provincial Advisory Council for Multiculturalism for the Minister of Multiculturalism and Immigration and the United Way. She is the Past Executive Director of the Affiliation of Multicultural Societies and Service Agencies of BC and she served as the first president of Vancouver Asian Heritage Month Society. She is currently a Senior Advisor of VAHMS. Fred Soofi studied Hotel Management and Economics at the University of Regina. Restaurateur Pasta Polo in Coquitlam and Club Ilia Eatery & Lounge at SFU Burnaby. A Canadian resident since 1974, small business owner/operator and community advocate. Past Board of Directors of the following non-profit organizations: Tri-Cities Chamber of Commerce, Coquitlam Foundation, Laurel Foundation, ACCESS Youth Services, Advisory Committee on Light Rapid Transit, City of Coquitlam Multicultural Advisory Committee, Chair of the Tri-City Iranian Cultural Society. At the present, on the Board of Directors of the Port Moody Seniors Friendship Society, Coquitlam Heritage Society. Awards: Federal government Citation for Citizenship award (1994); nominated for the Order of Canada (2000); Spirit of Community Volunteerism Award (2004) and the Chamber of Commerce Entrepreneur of the Year Award (2005), Port Moody Heritage Award (2007 and 2012), recipient of Queen Elizabeth II Diamond Jubilee Medal (2012), Tri-Cities Chamber of Commerce Member of the Year (2012), Top 25 Canadian Immigrant Award (June 2016). 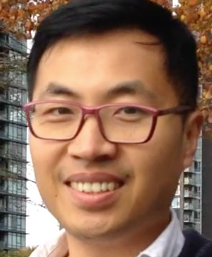 Alvin Tang is the Founder and President of Target A Tutoring Company and Target A Travel Company, Events and Operations Assistant Manager at the Dr. Sun Yat-Sen Classical Chinese Garden, Founder and Honorary President of SFU Sanguosha Student Club, Former Student Representative of SFU Asia-Canada Minor Program, and Former Student Liaison/Website Manager of SFU David Lam Centre. He has good working ethic with highly committed and responsible working habits, particular strengths in leadership, time-management and problem solving. He has volunteered and helped the organization to recruit volunteers for its opening and closing ceremonies at explorASIAN for the past 5 years. Phyllis Tang was born and raised in Vancouver, BC, Phyllis pursued graduate studies in Ethnomusicology. She is a winner of the 2015 & 2016 Golden Key International Honour Society’s Advisor Professional Development Scholarship, 2014-2017 Golden Key International Summit Travel Award, 2019 Leadership Summit Travel Award for Australia, and the York University Graduate Scholarship for Academic Excellence. 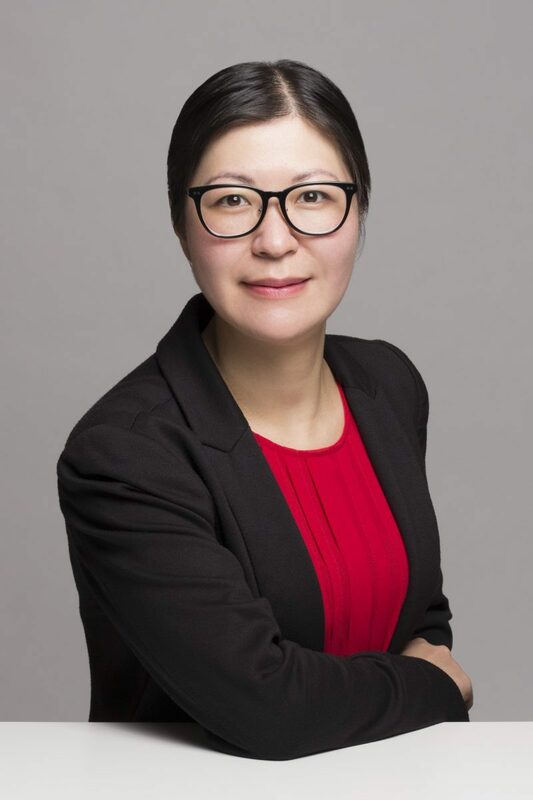 She is a Music Graduate Associate of the York Center for Asian Research, Listserv Manager of the Popular Music Section of the Society for Ethnomusicology, and the Chinese Bibliography Editor of the Association for Chinese Music Research. Phyllis is also the current Chapter Advisor of the Golden Key International Honour Society’s University of British Columbia Chapter. Currently, she is a private piano & music theory teacher, Researcher for UBC’s Access & Diversity Department, specializing in working with faculty, staff, and students with special needs, and an Exam Invigilator for the UBC Sauder School of Business. She is fluent in English, Cantonese, and Mandarin and has a working knowledge of French. Having been the Alto Section Leader of the UBC Choral Union, Phyllis has also performed with the UBC Symphony Orchestra, the Vancouver Bach Choir, the UBC Balinese Gamelan, the UBC Symphonic Wind Ensemble, and the Cantico Choir Society of BC at the Michael J. Fox Theatre. Phyllis was a guest pianist for a BC Children’s Hospital fundraiser and co-facilitated two “Sing and Learn” classes at the UBC Learning Exchange in Chinatown to help seniors improve their English communication and vocal skills. Notably, Phyllis has also performed on the Chinese horizontal flute, dizi, with the UBC Asian Ensemble and the BC Chinese Orchestra at the Chan Center for the Performing Arts to fundraise for the Society for Clinical Preventive Health Care in Vancouver. In 2018, Phyllis was selected to run as a City Council Candidate by the YES Vancouver team for the City of Vancouver. In 2019, she was appointed as the Assistant Sound Designer for the prestigious Wings of Desire musical drama, with all proceeds benefiting the Health & Home Care Society of BC’s charitable programs. Having been a two-year Student Representative of the UBC School of Music and the Faculty of Arts, Phyllis also holds an ARCT in Music Theory with first-class honours, a Diploma in Accounting, and possesses a strong background in Operations Management and Urban Land Economics. Martin Prijatna is our new Coordinator and his profession is branding, marketing and promotion design. Martin received his Bachelor’s Degree in Graphic Design from Art Center College of Design, Pasadena, CA. He works at his own design consulting company, NicoMartine Branding+Special Event. Martin is also a Past President of Permai BC Association for 3 years after being the Special Event Director for that group. For PERMAI BC, Martin rebranded the organization and system, created a membership benefit program, built a sponsorship program, organized a volunteer program with student bodies, produced INDOFEST 2015 and ALUN ALUN 2016 (I & II) & 2017 (III). He connected his community to other multicultural groups, engaged local politicians and increased membership from 300 to 1200. He has a passion for leadership, arts and culture.